Thank you for coming back to Café in Shihoya, opened on Thursday, June 20th. Thanks to you, our handmade cakes are almost sold out every evening, by 6:00 pm; that’s maybe because R doesn’t make too much. 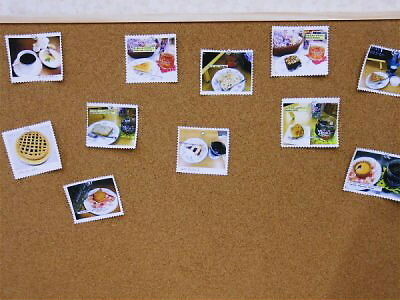 So, R set up “The recording board for R’s past cakes” in Café in Shihoya. 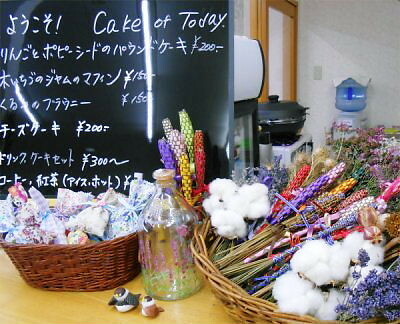 “I’d like to eat this again!” would help our visitors’ requests and also encourage R.
What’s the cake of today? R is making it in every evening for tomorrow. Yoshy and R have to remember this word, “Always keep my mind as open as it was in the beginning.” for both of Café in Shihoya and LL Shihoya Arai School! 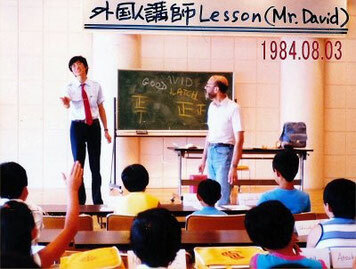 Let me introduce “LL ALT’s Lessons”, which started in 1975 and continued for over two decades, until ALT-lessons in public schools were started.